For example, they can be used to help someone understand their daily routine, or help them to develop social skills.This may be in addition to using visual supports for communication, using a low-tech communication book, or a high-tech core vocabulary like Super Core. Using a visual schedule can really help people with autism to understand what is happening now, and what will happen next. 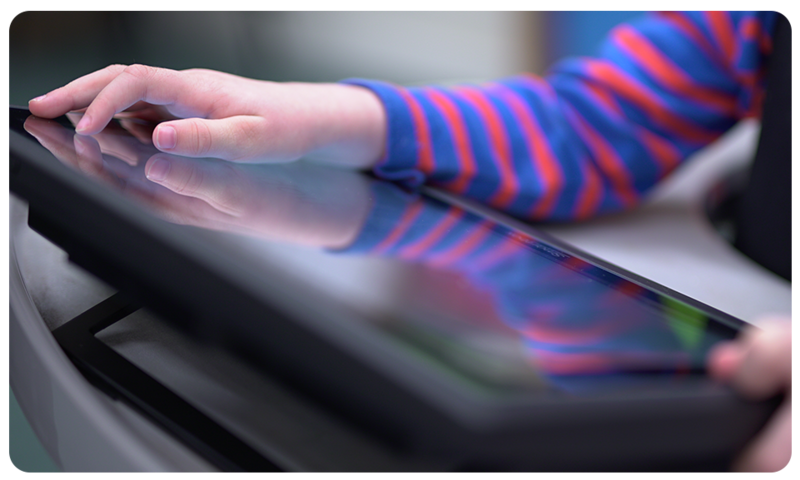 You can easily use Grid to create visual schedules – which you can use on a device, an interactive whiteboard, or printed and laminated. Just make a new grid and create a cell for each activity. If you want to make it low tech, just print it! The number of activities in a schedule might vary from person to person. Some may benefit from seeing what’s happening now, and next, and others may prefer to see the schedule for the full day. Have a look at the Supports grid set for a selection of sample schedules, including now and next, full day and weekly timetables. 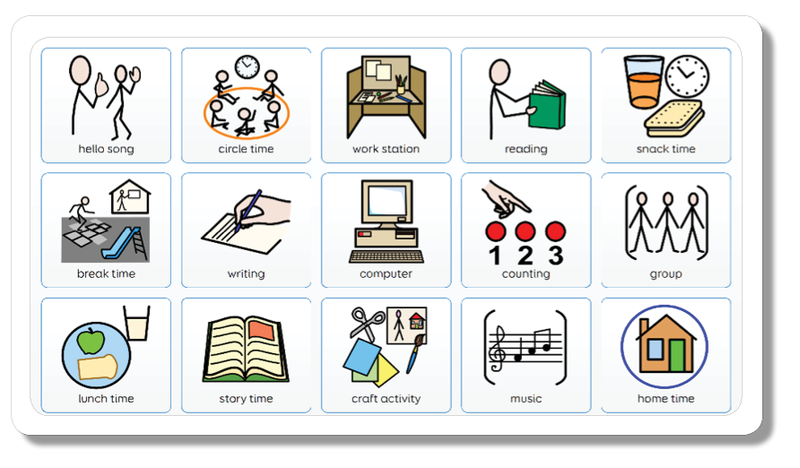 This Symbol visual schedule template follows the SCERTS model for working with autism. You can also use Grid to make resources that help people with autism understand and respond to their emotions. An example of this is the Today I’m feeling grid set, where learners can express how they’re feeling each day. This Emotion key ring grid set is another example. This can be printed and used to support a person with autism to label their emotion, and see what they can do when they feel that way. Then stick them together so that the emotion is on one side and the colour-matched behaviours are on the other side. If someone is feeling excited, you can show them the excited symbol and say “you feel excited, you can clap your hands, smile or jump”. All of the grid sets mentioned are ready made and available in Grid, on Windows and iPad. Simply search for them in Online grids (via Add grid set). If you’d like any help feel free to get in touch with our friendly Support team. For more information about using visual supports with people with autism, visit the National Autism Society website here.